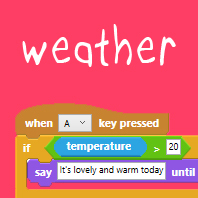 Il est temps pour ce moment "Bonjour tout le monde» avec votre Ohbot! Voici une collection de codes extraits que vous pouvez essayer, bricoler et se combinent pour faire Ohbot faire de nouvelles choses. 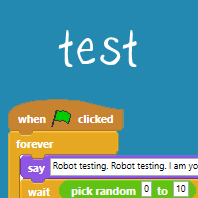 Try this test program to check your Ohbot is working properly. 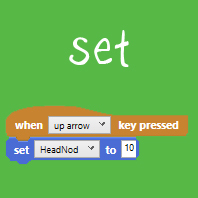 Make Ohbot change its position by a set amount each time a key is pressed. 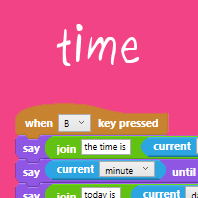 Make Ohbot move to particular position when a key is pressed. 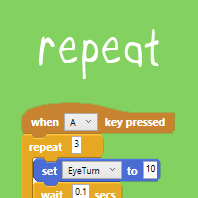 Repeat a sequence of instructions to make Ohbot look scared. 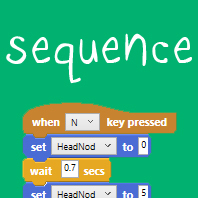 create a sequence of movements to make Ohbot nod and shake. 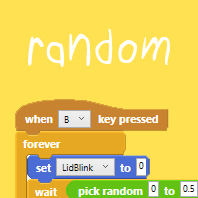 Use the random block to make Ohbot blink at random intervals. 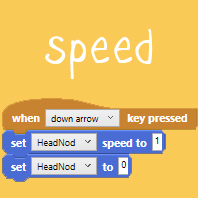 Set the speed of Ohbot's movements. 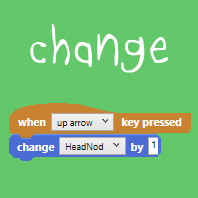 Nod to sleep slowly and wake up quickly. 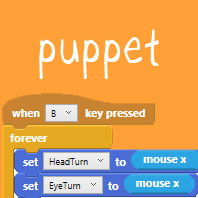 Repeatedly set the position of one of Ohbot's motors to the position of the mouse to turn Ohbot into a puppet. 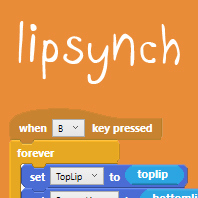 Make Ohbot's lips move as it speaks by repeatedly setting the positions of the lips to the speech sensor variable. 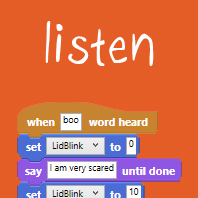 Make Ohbot react to spoken words. 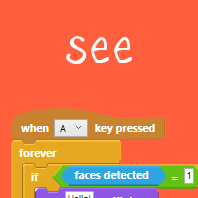 Make Ohbot recognise and track faces. 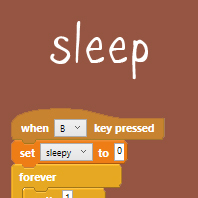 Use a variable to make Ohbot become sleepy. 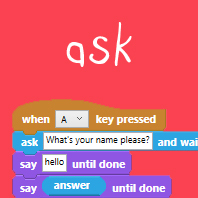 Ask a question and wait for a human to type an answer. 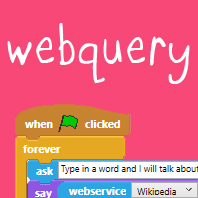 Make Ohbot find a Wikipedia page and read it. 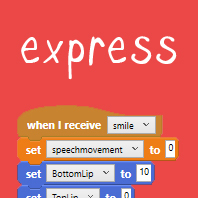 Intersperse speech, smiles and frowns by using a variable. 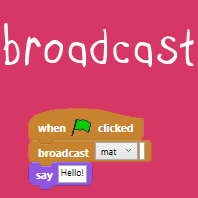 Make Ohbot broadcast messages between stacks of blocks.